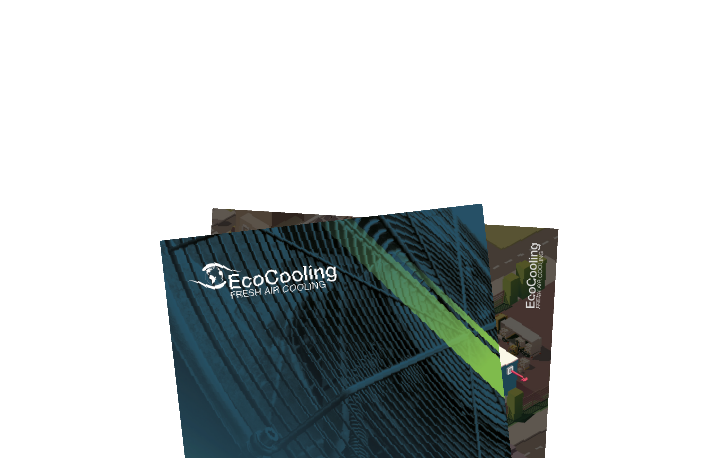 Cost effective spot cooling using mobile evaporative coolers from EcoCooling – Save 90% on your cooling costs. 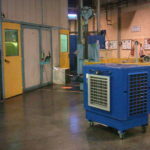 The ECM Mobile EcoCooler is a mobile evaporative cooler manufactured by EcoCooling in an ISO 9002 quality environment. 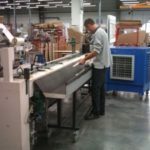 The cooler is designed to meet all European electrical, water and other safety legislation and should be used in a well-ventilated area. 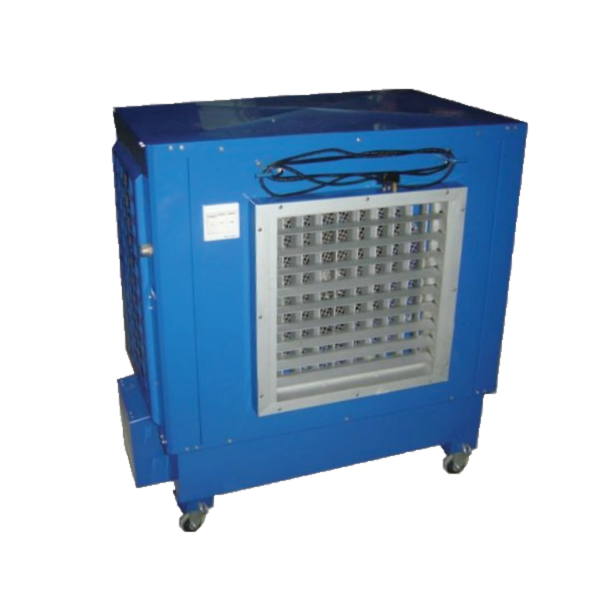 The ECM mobile evaporative cooler is designed for use internally and can be moved. It cools air through evaporation of water and has an integrated water circulation control system. The unit can handle up to 7,000m3/hr of air in either cooling or ventilation mode. 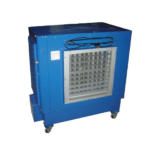 The cooler is perfect for large industrial process cooling where machinery spot cooling is required during the summer months. The mobile cooler should be used in a well ventilatilated area, for advice on whether it is suitable for your application please speak to our technical sales department. 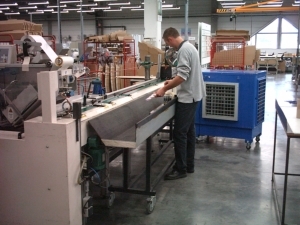 Looking for a more permanent solution for your factory or processing plant? For more information on our fixed cooler ranges please see the ECP ranges. EcoCooling also offers ECM rental or trial packages, please fill in our contact sheet to discuss your requirement in more detail.